The final of the 2016 British Hillclimb championsip took place at Loton Park,near Shrewsbury on Sunday 25 September. The championship was won by Scott Moran from Orleton, Ludlow. English singer and songwriter Bryan Ferry CBE was born 26 September 1945 in Washington, County Durham, England. Ferry came to prominence as the lead vocalist and principal songwriter with the glam art rock band Roxy Music, achieving three number one albums and ten top ten singles in the UK between 1972 and 1982. Their singles included “Virginia Plain”, “Street Life”, “Love is the Drug”, “Dance Away”, “Angel Eyes”, “Over You”, “Oh Yeah”, “Jealous Guy” and “More Than This”. Ferry began his solo career in 1973. His solo hits included “A Hard Rain’s a-Gonna Fall”, “Let’s Stick Together” and “This Is Tomorrow”. After disbanding Roxy Music, Ferry concentrated on his solo career, releasing further singles such as “Slave to Love” and “Don’t Stop the Dance”. His voice has been described as an “elegant, seductive croon”. He also established a distinctive image and sartorial style; according to The Independent, Ferry and his contemporary David Bowie influenced a generation with both their music and their appearance. As well as being a prolific songwriter himself, Ferry has also gained attention for his many cover versions of other artists’ songs and for his re-working of standards, especially from the Great American Songbook, in albums such as These Foolish Things (1973), Another Time, Another Place (1974) and As Time Goes By (1999). When his sales as a solo artist and as a member of Roxy Music are combined, Ferry has sold over 30 million albums worldwide. 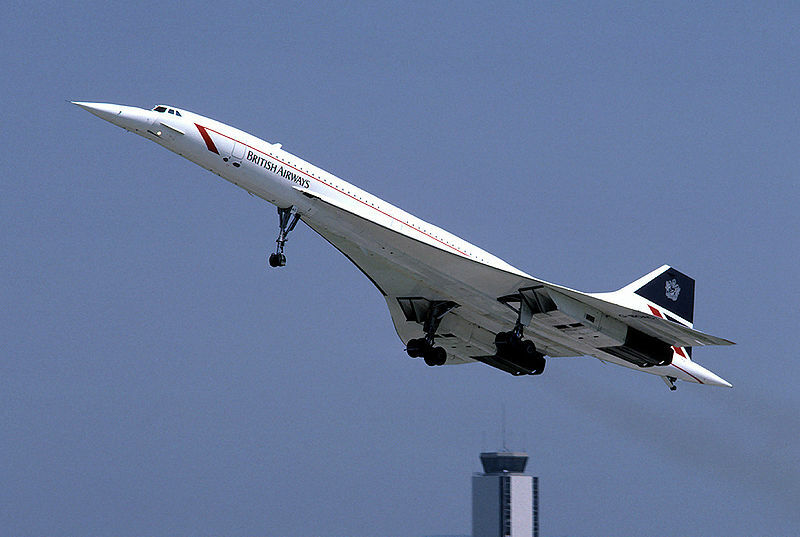 Scheduled flights began on 21 January 1976 on the London–Bahrain and Paris–Rio (viaDakar) routes, with BA flights using the “Speedbird Concorde” call sign to notify air traffic control of the aircraft’s unique abilities and restrictions, but the French using their normal callsigns. The Paris-Caracas route (via Azores) began on 10 April. The US Congress had just banned Concorde landings in the US, mainly due to citizen protest over sonic booms, preventing launch on the coveted North Atlantic routes. The US Secretary of Transportation,William Coleman, gave permission for Concorde service to Washington Dulles International Airport, and Air France and British Airways simultaneously began service to Dulles on 24 May 1976. When the US ban on JFK Concorde operations was lifted in February 1977, New York banned Concorde locally. The ban came to an end on 17 October 1977 when the Supreme Court of the United States declined to overturn a lower court’s ruling rejecting efforts by the Port Authority and a grass-roots campaign led by Carol Berman to continue the ban. In spite of complaints about noise, the noise report noted that Air Force One, at the time a Boeing VC-137, was louder than Concorde at subsonic speeds and during takeoff and landing. Scheduled service from Paris and London to New York’s John F. Kennedy Airport began on 22 November 1977.in 1977, British Airways and Singapore Airlines shared a Concorde for flights between London and Singapore International Airport at Paya Lebar via Bahrain. The aircraft, BA’s Concorde G-BOAD, was painted in Singapore Airlines livery on the port side and British Airways livery on the starboard side. The service was discontinued after three return flights because of noise complaints from the Malaysian government; it could only be reinstated on a new route bypassing Malaysian airspace in 1979. A dispute with India prevented Concorde from reaching supersonic speeds in Indian airspace, so the route was eventually declared not viable and discontinued in 1980. The fastest transatlantic airliner flight was from New York JFK to London Heathrow on 7 February 1996 by British Airways’ G-BOAD in 2 hours, 52 minutes, 59 seconds from takeoff to touchdown. Concorde also set other records, including the official FAI “Westbound Around the World” and “Eastbound Around the World” world air speed records.On 12–13 October 1992, in commemoration of the 500th anniversary of Columbus’ first New World landing, Concorde Spirit Tours (USA) chartered Air France Concorde F-BTSD and circumnavigated the world in 32 hours 49 minutes and 3 seconds, from Lisbon, Portugal, including six refuelling stops at Santo Domingo, Acapulco, Honolulu, Guam, Bangkok, and Bahrain. The eastbound record was set by the same Air France Concorde (F-BTSD) under charter to Concorde Spirit Tours in the USA on 15–16 August 1995. This promotional flight circumnavigated the world from New York/JFK International Airport in 31 hours 27 minutes 49 seconds, including six refuelling stops at Toulouse, Dubai, Bangkok, Andersen AFB in Guam, Honolulu, and Acapulco. By its 30th flight anniversary on 2 March 1999 Concorde had clocked up 920,000 flight hours, with more than 600,000 supersonic, much more than all of the other supersonic aircraft in the Western world combined.On its way to the Museum of Flight in November 2003, G-BOAG set a New York City-to-Seattle speed record of 3 hours, 55 minutes, and 12 seconds. By around 1981 in the UK, the future for Concorde looked bleak. The British government had lost money operating Concorde every year, and moves were afoot to cancel the service entirely. A cost projection came back with greatly reduced metallurgical testing costs because the test rig for the wings had built up enough data to last for 30 years and could be shut down. Despite this, the government was not keen to continue. In 1983, BA’s managing director, Sir John King, convinced the government to sell the aircraft outright to British Airways for £16.5 million plus the first year’s profits. King recognised that, in Concorde, BA had a premier product that was underpriced. Market research had revealed that many customers thought Concorde was more expensive than it actually was; thus ticket prices were progressively raised to match these perceptions. It is reported that British Airways then ran Concorde at a profit, unlike their French counterpart. Between 1984 and 1991, British Airways flew a thrice-weekly Concorde service between London and Miami, stopping at Washington Dulles International Airport.Until 2003, Air France and British Airways continued to operate the New York services daily. Concorde routinely flew to Grantley Adams International Airport, Barbados, during the winter holiday season. Prior to the Air France Paris crash, several UK and French tour operators operated charter flights to European destinations on a regular basis; the charter business was viewed as lucrative by British Airways and Air France.In 1997, British Airways held a promotional contest to mark 10th anniversary of airline’s move into the private sector. The promotion was lottery to fly to New York held for 190 tickets valued at £5,400 each, to be offered at £10. Contestants had to call a special hotline to compete with up to 20 million people. On 11 April 2003, Virgin Atlantic founder Sir Richard Branson announced that the company was interested in purchasing British Airways’ Concorde fleet for their nominal original price of £1 (US$1.57 in April 2003) each. British Airways dismissed the idea, prompting Virgin to increase their offer to £1 million each. Branson claimed that when BA was privatised, a clause in the agreement required them to allow another British airline to operate Concorde if BA ceased to do so, but the Government denied the existence of such a clause. In October 2003, Branson wrote in The Economist that his final offer was “over £5 million” and that he had intended to operate the fleet “for many years to come”. The chances for keeping Concorde in service were stifled by Airbus’s lack of support for continued maintenance. It has also been suggested that Concorde was grounded because airlines could make more profit carrying first class passengers subsonically and that the Air France retirement of its Concorde fleet was the result of a conspiracy between Air France Chairman Jean-Cyril Spinetta and Airbus CEO Noel Forgeard, In addition A lack of commitment to Concorde was cited as having undermined BA’s resolve to continue operating Concorde. Stuart Tosh, (Stuart Mackintosh) Scottish singer-songwriter and drummer (10cc and Pilot) was Born 26 September 1951. Three of the founding members of 10cc were childhood friends in the Manchester area. As boys, kevin Godley and Lol Creme knew each other; Graham Gouldman and Kevin Godley attended the same secondary school; their musical passion led to playing at the local Jewish Lads’ Brigade .They achieved their greatest commercial success in the 1970s. The band initially consisted of four musicians—Graham Gouldman, Eric Stewart, Kevin Godley, and Lol Creme—who had written and recorded together for about three years, before assuming the “10cc” name in 1972. 10cc featured two strong songwriting teams, one ‘commercial’ and one ‘artistic’, but both teams injected sharp wit into lyrically dextrous and musically varied songs. Stewart and Gouldman were predominantly pop-song-writers, who created most of the band’s accessible songs. By way of contrast, Godley and Creme were the predominantly experimental half of 10cc, featuring an Art School sensibility and cinematic inspired writing. Every member was a multi-instrumentalist, singer, writer and producer. Most of the band’s albums were recorded at their own Strawberry Studios (North) in Stockport and Strawberry Studios (South) in Dorking, with most of those engineered by Stewart. Among their best known songs is “I’m Not in Love“. Stuart Tosh also recorded and toured with a succession of other well-known and respected bands during the 1970s and 1980s, including Pilot, the Alan Parsons Project, 10cc, Camel, and Roger Daltrey.